Then, just yesterday, we took it all back: winocm was going to release the hack that allowed him to dual boot operating systems on his iPad. Schizo-iPads would soon be available to everyone! We were wrong! Hate iOS 7’s visual aesthetic, but have apps that require iOS 7 to function? You should do what famed jailbreaker winocm did — hack his iPad 2 so it triple boots between iOS 5.1, iOS 6.1.3 and iOS 7.0.6! Well, okay. You got us. The elite skills necessary to hack your iPad to dual boot operating systems is beyond the ability of most of us mortals, and it’s unlikely winocm will ever make this process friendly for the everyman. Still, wouldn’t you love if your iPad could do this? Sadly, iOS 7.1 finally put an end to the Evasi0n jailbreak, the versatile hack that allowed anyone running iOS 7 to iOS 7.0.6 to run unsigned (i.e. 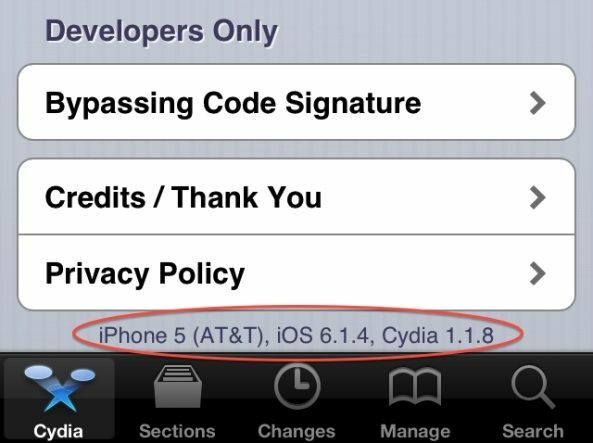 Apple verboten) code on their iOS devices. But all is not lost! Seasoned jailbreaker Winocm has posted a video of iOS 7.1 running on a jailbroken iPhone 4, untethered. 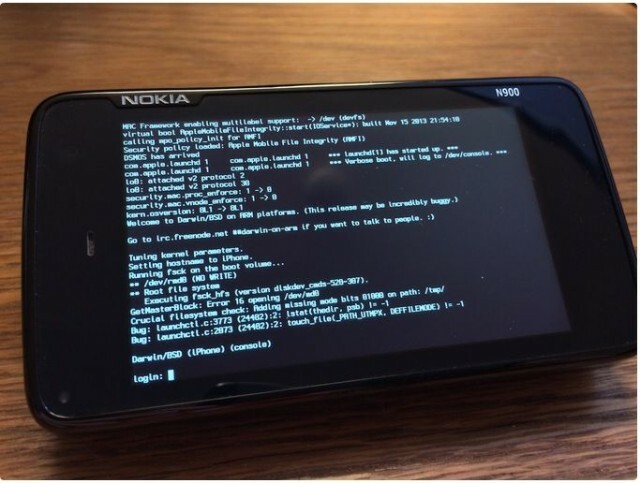 A Nokia N900 running the core of iOS and OS X, courtesy of winocm. Well-known jailbreaker “winocm” announced today that he will be taking a job at Apple later this year. When reached for comment, the 17-year-old hacker declined to elaborate on what his new role at Apple will entail. He also declined to provide his real name, which is a common theme amongst high-profile jailbreak hackers who prefer to hide behind their online pseudonyms. While winocm did not work on the recent iOS 7 jailbreak, his expertise in reverse engineering iOS will undoubtedly make him a valuable asset at Apple. Go figure. Just a week and a half before Apple is set to launch iOS 7 out into the world, someone has finally succeeded in hacking iOS 6.1.4. Oh, the irony!